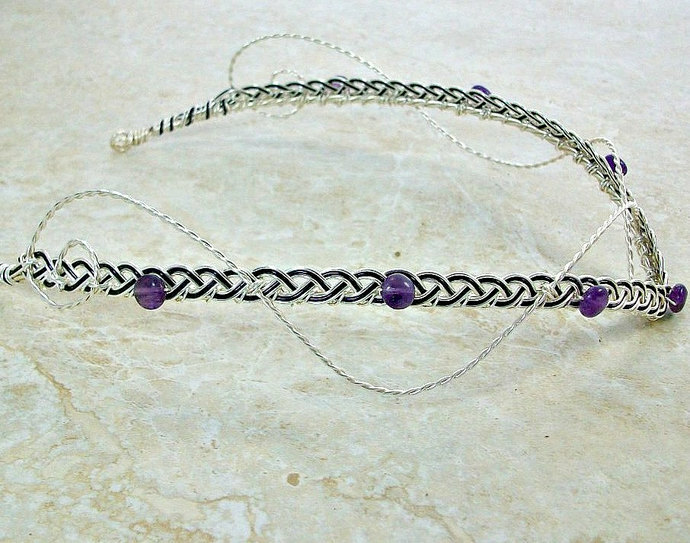 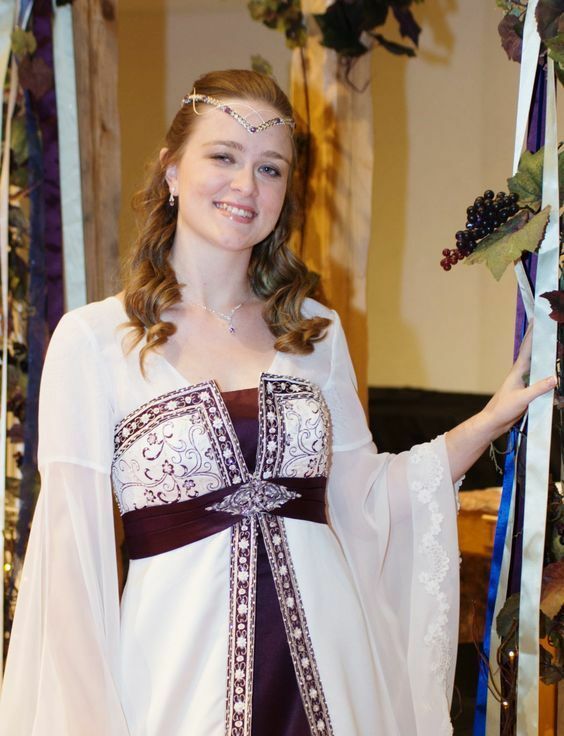 An Arwen inspired celtic weave fantasy wedding circlet tiara.. 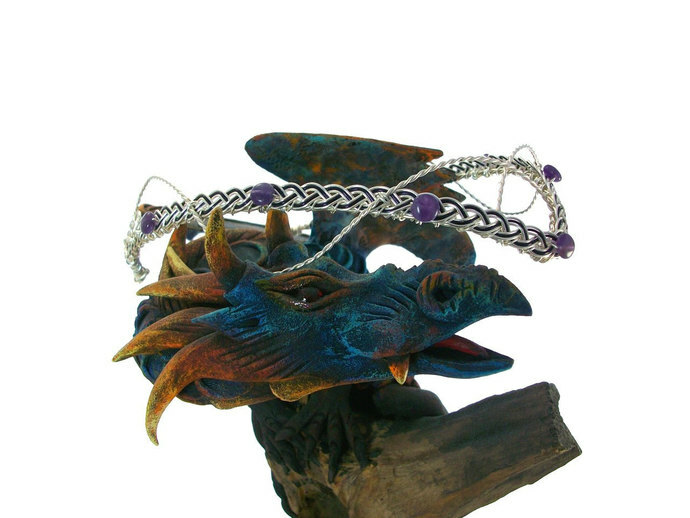 Shown here in silver and royal purple with genuine amethyst or garnet gemstones. 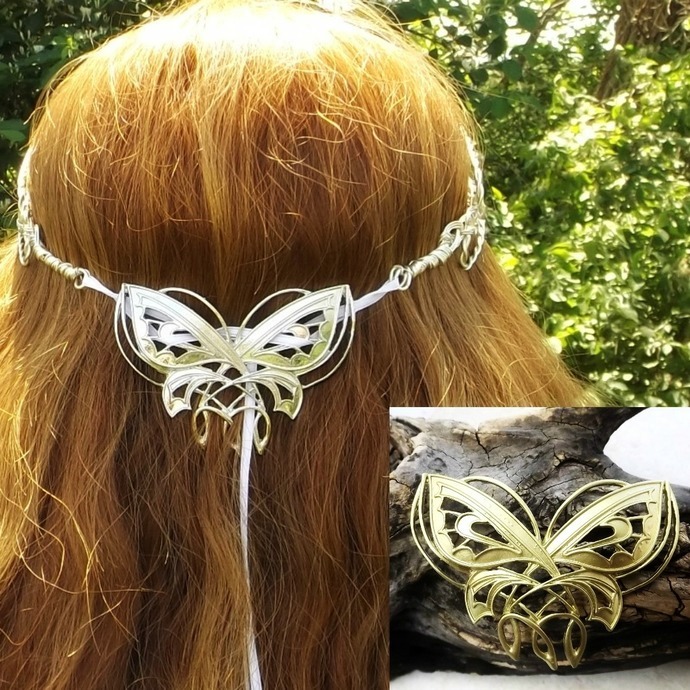 Also available with gold accent wire. 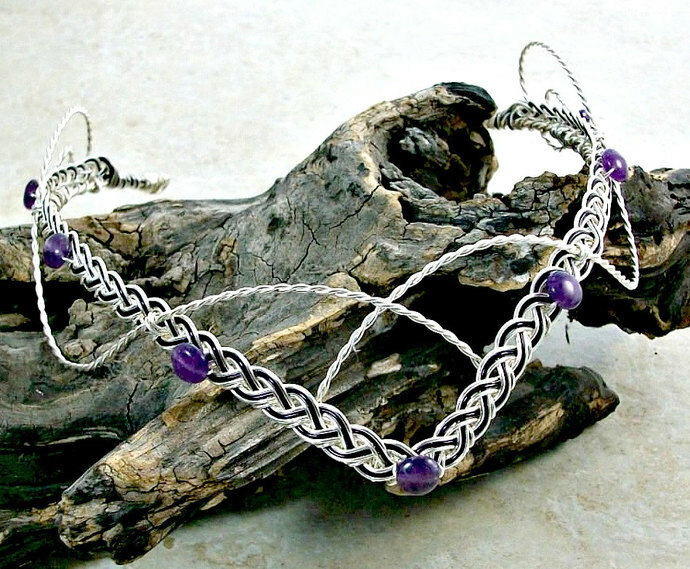 COLOR NOTE: The amethyst version has the purple wire center as shown, garnet has a dark red center wire as shown. 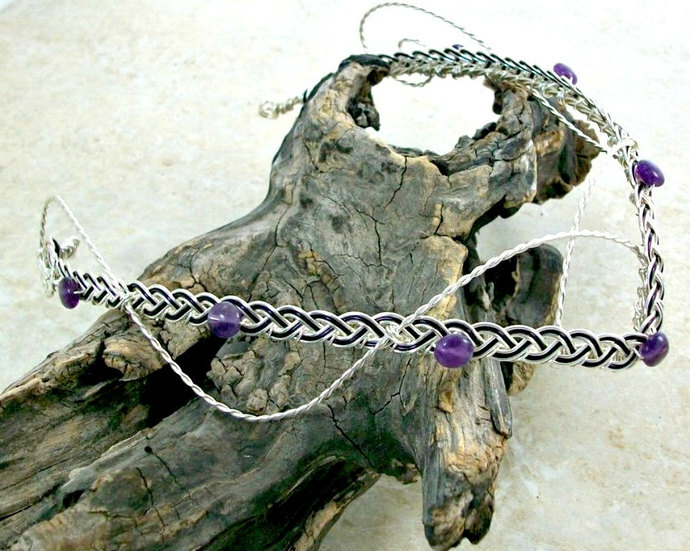 Gemstone shapes may vary slightly, they are cut by hand and vary based on availability.